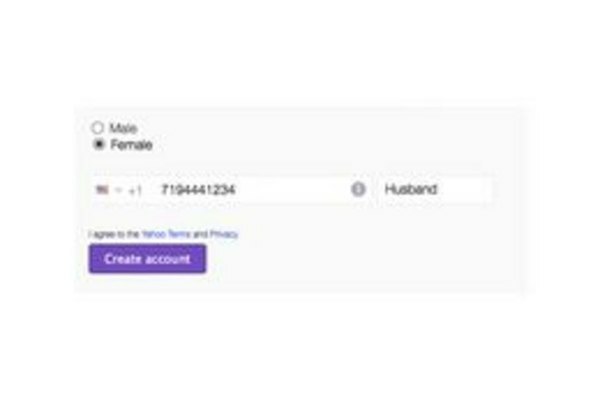 Free email accounts are one of the many services Yahoo offers. Yahoo's email service is web-based, meaning you can access your account from any computer that has internet access. Free storage space and spam protection are also features of the service. 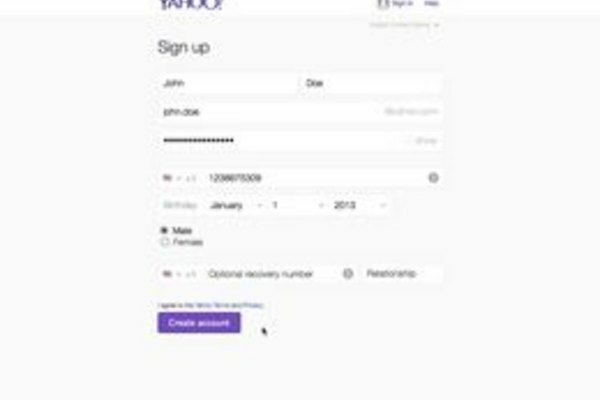 Once you have created a Yahoo email account, you can access it on your mail app on your computer or smart phone. 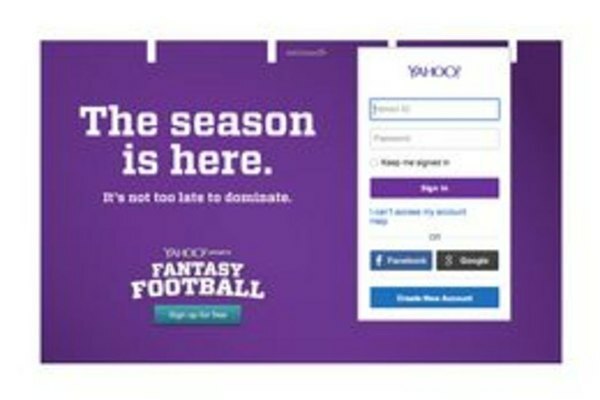 Open a web browser and navigate to the Yahoo Mail page at mail.yahoo.com. 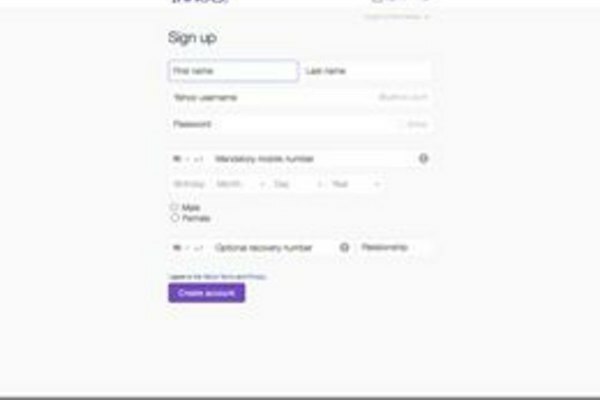 Click "Sign Up" or "Create a New Account." Fill in the information on the registration page. This information will include your name, date of birth, mobile number, and gender. Choose a username and a password. 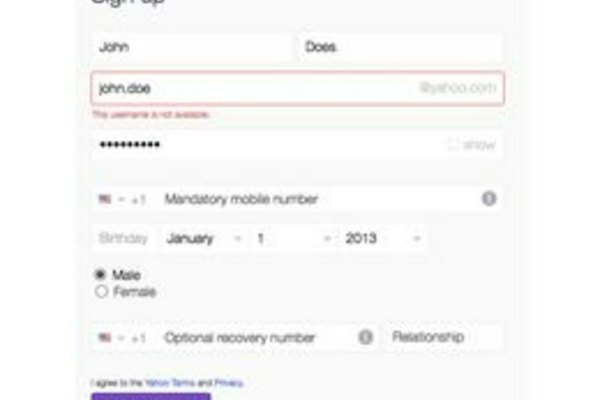 You may have to choose several different user IDs before you find one that is available. Enter your mobile phone number, including area code. Your phone number will help you regain access to your account should you forget your password. Enter an optional recovery number. The recovery number helps you regain access to your account should you lose your phone, and forget your password. Click "Create Account." 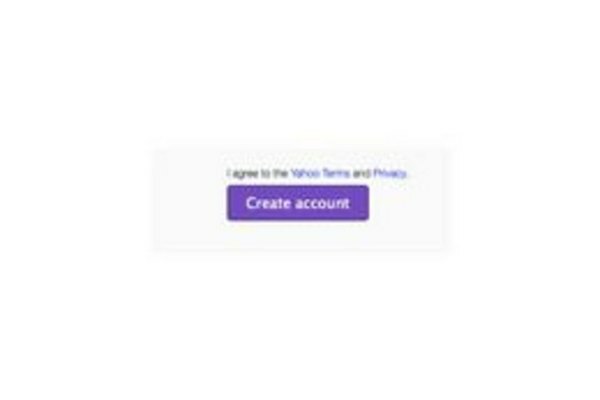 Clicking this button creates your account and confirms that you agree to the Yahoo terms of service and privacy policies. Create a password containing text, number and special characters. Such a password is difficult to crack. Never use your name as part of your password.